St. Petersburg, Fla. – Pinellas Suncoast Transit Authority (PSTA) bus operator Faysal Monzer has two priorities in his life—his job and his family. “I’m happy that I can make my family proud,” Monzer said, when asked how he felt about earning PSTA’s highest honor – 2015 Driver of the Year. In the 12 years Monzer has been at PSTA, he has received many awards and recognitions. Earlier in his career, he was presented the Driver of the Quarter award and has also received numerous safe driving pins. However, it was not only his safe driving and perfect attendance record that earned Monzer the recognition this year. “Faysal has a great way of communicating with the passengers,” said PSTA Director of Transportation Jeff Thompson. Monzer’s communication skills go far beyond the average bus operator at PSTA. He can speak a variety of languages and is often heard translating directions for customers. Originally from Lebanon, Monzer came to St. Petersburg in 1978 and attended Eckerd College. With all of his children grown, he and his wife enjoy traveling and cooking international food—especially Caribbean and Mediterranean cuisine. His favorite route to drive is the Suncoast Beach Trolley. He loves communicating with Pinellas County’s many tourists and is enjoyed by all of his passengers. When asked about his job, Monzer says it’s all about having a positive attitude. 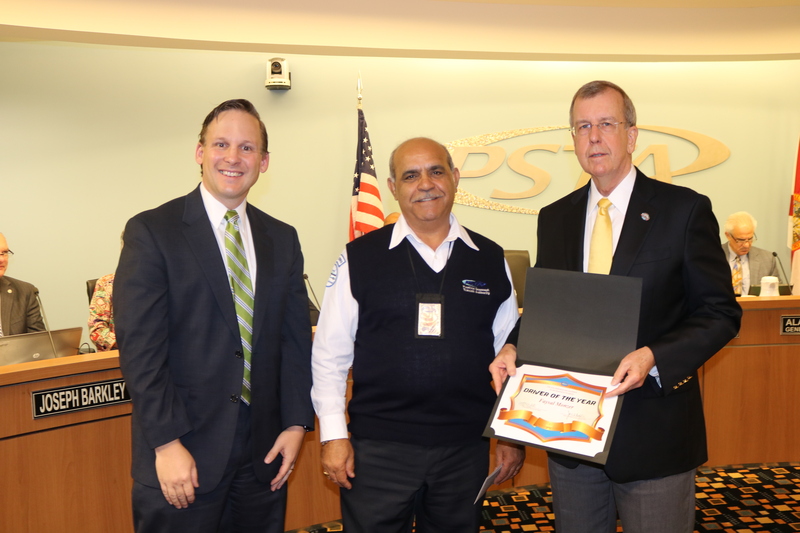 Monzer was officially presented the 2015 Driver of the Year award at PSTA’s October Board meeting. St. Petersburg, Fla. – Four bins filled with school supplies were donated to St. Petersburg’s Melrose Elementary School Friday, courtesy of the Pinellas Suncoast Transit Authority. Through PSTA’s Operation Giveback, employees filled bins with notebooks, binders, pens, and pencils. PSTA employees decided to host the school supply drive as an opportunity to give back to the community. Melrose Elementary Principal Nanette Grasso accepted the donation on behalf of the students at the school’s Meet-the-Teacher event Friday. 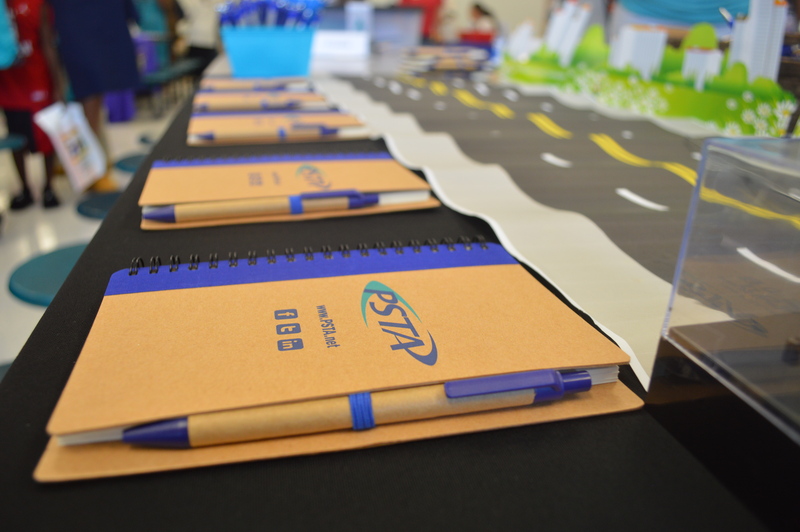 PSTA also donated bus passes to the school which were raffled off to parents at the event. 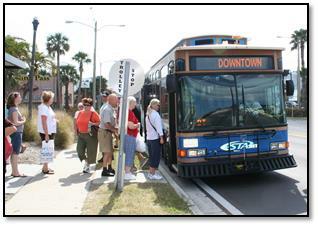 St. Petersburg, Fla. – The Pinellas Suncoast Transit Authority (PSTA) will hold a public workshop at the Gladden Park Recreation Center, 3901 30th Avenue North, from 5:00 p.m. to 7:00 p.m. on Thursday, August 20. The purpose of this workshop is to gather comment from riders and other community members on Phase 1 of a proposed Service Redesign plan. Those in attendance will have the opportunity to meet with PSTA staff to learn more about the plan, make comments, and ask questions. The routes affected in Phase 1 are: 1, 30, 58, 444, and the East Lake Connector. 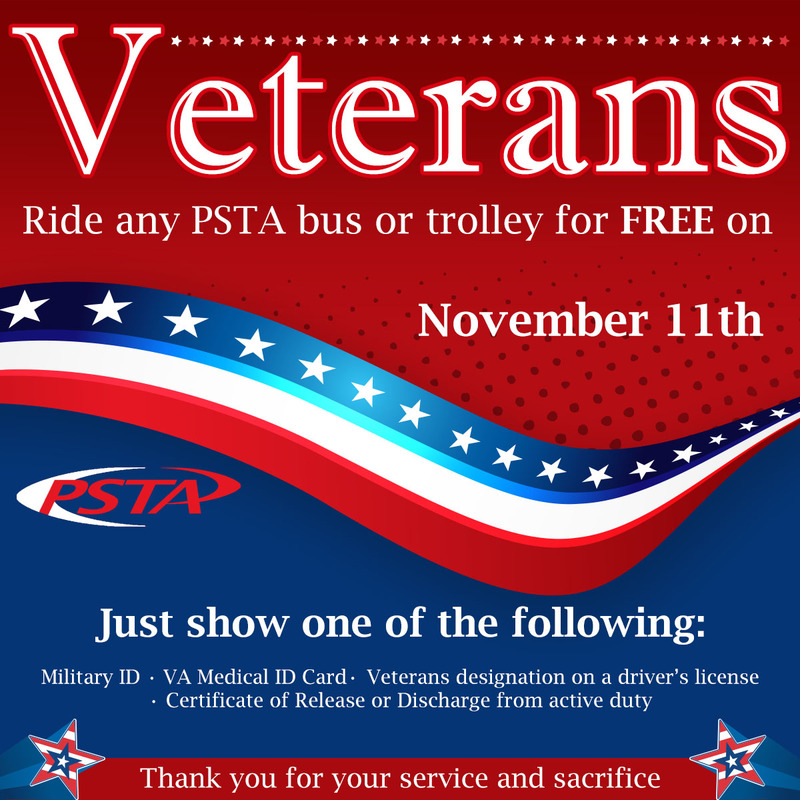 Riders unable to attend are invited to send comments to engage@psta.net. For more information, visit the Public Workshops page or call the InfoLine at (727) 540- 1900.